Who would have thought it would be illegal to make music in Nashville? Unfortunately, the city’s ban on home-based businesses means local musicians, hairstylists and other aspiring entrepreneurs face steep fines and potential imprisonment if any customers physically come to their homes to do business. Nashville residents Lij Shaw and Pat Raynor have both lived this nightmare. 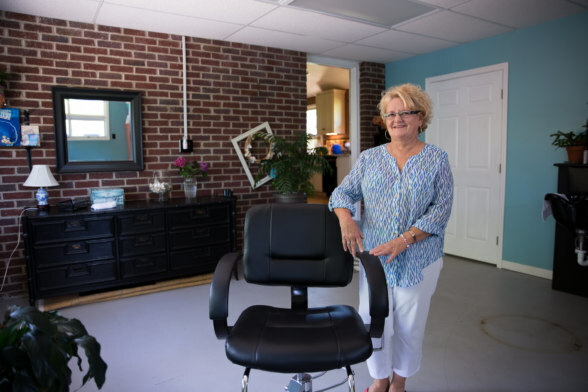 Lij operates a successful recording studio in his home, while Pat undertook an expensive renovation to her home to open up a hair salon that met all of Tennessee’s health and safety standards. Both Lij and Pat ran their businesses for some time without any trouble. Then one day, the city government threatened to fine and take them to court unless they shut down their home-based businesses. This ban has done real damage to their ability to earn an honest living. Lij has lost significant revenue since being ordered by a city officer to stop publishing his address in advertisements for his business. Meanwhile, Pat has been forced to rent a costly and inconvenient commercial studio just to keep her hairstyling practice in business. Home-based businesses have been a common and legitimate use of property for entrepreneurship for centuries. They cost less to get off the ground, they promote healthy work-life balance, and they create jobs that otherwise might not exist. Anyone who has taken a piano lesson in their teacher’s home or sent their child to daycare in a neighbor’s home has been a client in a home-based business. Even Nashville’s government knows it would be outrageous (and impossible) to find and destroy every home-based business in the city, so it enforces its client prohibition with an unwritten don’t-ask-don’t-tell policy. Rather than reform this unfair law, the city solicits anonymous complaints on its website, turning neighbor against neighbor and shutting down home-based businesses without any evidence of harm to anyone. Most Nashville home-based business owners never get in trouble for violating the client prohibition. Many aren’t even aware of it. But the ban can be as disastrous as a lightning strike for the unlucky few who get caught. Those local entrepreneurs, like Pat and Lij, find their very livelihoods threatened. This arbitrary law has nothing to do with regulating traffic or noise in residential neighborhoods. The city zoning code allows home-based daycares and short-term rentals to serve up to 12 clients a day on the property. People who live in historic homes are also allowed to use their homes for special events such as wedding receptions and catering dinners up to several times a week. Lij’s and Pat’s outlawed home-based businesses are as neighborhood-friendly as the businesses Nashville already permits. There’s no good reason for Nashville to shut them down, so Lij and Pat are fighting back. They’ve teamed up with the Institute for Justice and the Beacon Center of Tennessee to vindicate their constitutional right to use their home to earn an honest living. Home-based businesses offer people an accessible path to entrepreneurship. There are many reasons people aspire to start a business. Perhaps they want to be the next Mary Kay or Steve Jobs, who famously launched the multi-billion dollar company that is now Apple from his garage. Perhaps they are tired of the 9-to-5 and want to be their own boss. Or perhaps they want to fill a need in their community and earn an honest living doing it. Whether their dreams are modest or ambitious, starting a business out of their homes can make it more cost-effective for would-be entrepreneurs to succeed. Opening a brick-and-mortar business can cost thousands of dollars more, depending on industry and location. In Nashville, for example, rents for office and retail space are at an all-time high—around $23 per square foot for office space and $25 per square foot for retail space—making it difficult for small and independent businesses to thrive. And that’s on top of other costs necessary to open a business, including acquiring all of the necessary permits, insuring the business and hiring employees. These high startup costs can prevent people with great business ideas from ever pursuing them. That’s bad for everybody. Home-based businesses, however, allow an entrepreneur to figure out what works and what doesn’t before taking on the expense of commercial space. One study found that most needed less than $25,000 to get going—a sum many business owners can pull together from personal savings or loans from family and friends. Particularly in lean economic times, the low cost of starting a home-based business can significantly reduce the risks inherent to starting a business. Additionally, some small businesses just make more sense in the context of the home, particularly those operated by only one person. An overwhelming 60 percent of home-based businesses are run by people who work by themselves. For an individual who just wants to personally offer tutoring, tax preparation or music lessons, it likely will never make sense—or be financially viable—to obtain commercial space. 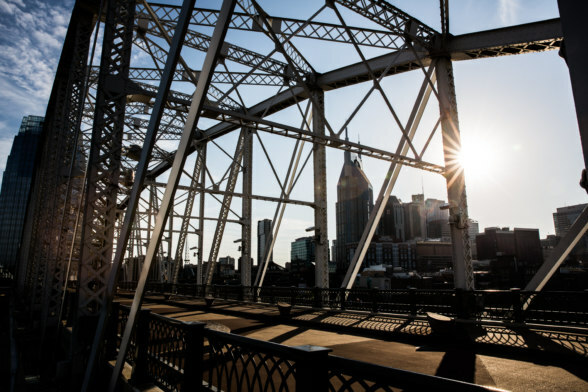 Nashville, Tennessee is a booming city with a diverse economy. World-renowned for its thriving music scene, the city bills itself as “Music City, U.S.A.,” but many of its roughly 685,000 residents also find work in the healthcare, publishing, banking, and transportation industries. Many others—the focus of this lawsuit—work from home. The Institute for Justice analyzed Nashville’s business records and found at least 1,600 home-based businesses operating within the limits of Nashville’s consolidated city-county jurisdiction. These businesses provide a valuable contribution to Nashville’s economy, and to their proprietors, they provide a livelihood. Unfortunately, many of them are illegal. A provision contained in Nashville’s residential zoning ordinance prohibits any so-called “home occupations” from serving clients on the property. This home-business client prohibition was added to the city’s zoning code in 1998 without public debate or any record of why the law exists. The Nashville government evidently has some misgivings about this prohibition because it maintains a don’t-ask-don’t-tell enforcement policy toward enforcement. The local Department of Codes and Building Safety, known as “Codes,” investigates home-based businesses only when somebody complains. Nashville also doesn’t seem to want its home-business ban to apply as broadly as it does because Nashville allows at least three kinds of home-based businesses that serve clients: day care homes, owner-occupied short term rentals, and historic home events. Those businesses are allowed to serve 12 clients per day in most cases. But that’s simply wrong. Neither Pat Raynor’s nor Lij Shaw’s home-based business could be seen or heard from the street, but Codes ordered them to shut down anyway, accusing them of no violation other than simply having a business. In December 2016, Lij and Pat applied to the city to rezone their homes to allow Lij’s home recording studio and Pat’s hair salon to serve a limited number of clients. Their neighbors turned out overwhelmingly in support, presenting the Nashville Metro Council with petitions bearing the signatures of 39 and 44 of their neighbors, respectively. But it was not enough for the government. Several months and public hearings later, their applications were denied. Lij and Pat are left with no options other than to sue for their right to work from home. Elijah “Lij” Shaw, a single father and lifelong record producer, moved to Nashville in 1991. He has recorded nationally renowned, Grammy Award-winning performers such as John Oates, Jack White, Wilco, Adele, and the Zac Brown Band. He’s been living in the same house in East Nashville since he bought it in 2000. When his daughter Sarayah was born in 2005, he was inspired to take charge of his work life and find a way to better support his family. So he invested thousands of dollars to convert his detached garage into The Toy Box Studio: a professionally soundproofed recording studio where he could record his musician clients on his own property, all while remaining close to Sarayah as she grew up. It was a perfect setup. 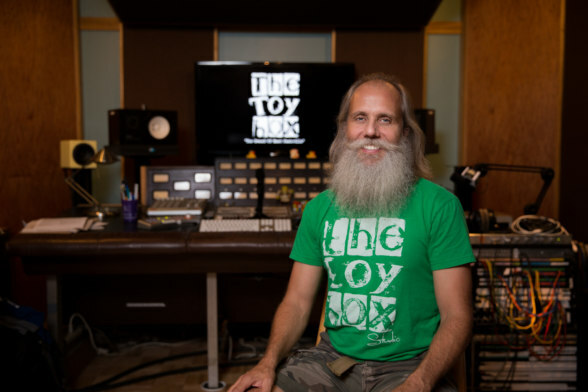 Well-respected musicians use The Toy Box Studio—the 2015 Grammy winner for Best Roots Gospel Album was mixed there—and Lij operated for 10 years without incident. His soundproofed studio can’t be seen or heard from the street, and his clients park in his driveway. None of his neighbors have ever complained to him about traffic or noise. But now Nashville is threatening to destroy Lij’s investment and uproot him from his neighborhood. In September 2015, Lij opened his mailbox to a letter from the Nashville government ordering him to cease and desist the operation of his home recording studio. A month later, an officer from the Nashville Codes Department called and ordered him to shut down his business or be taken to court. Lij was able to ward off an inspection by agreeing to take his address down from his website, but the officer warned that if Codes ever caught him recording in his studio—or even podcasting—he would be taken to court and shut down. Residential zoning laws are a relatively modern creation. They restrict property rights by their very nature, and the U.S. Supreme Court did not clear them as constitutional until 1926. In Village of Euclid v. Ambler Realty Co., the Court held that municipal governments, if allowed under state law, could exclude industrial uses from municipally-defined residential zones. But whatever an industrial use may be, it’s clearly not Lij’s or Pat’s quiet, by-appointment-only home studios. As originally authorized by the Supreme Court, zoning laws were not meant to tell people how to behave inside their homes. Since 1926, however, zoning laws have grown far more intrusive in scope. In 1974, the Supreme Court held that a New York college town could use its residential zoning laws to prohibit unrelated graduate students from signing a lease together as housemates. Together with a follow-up case holding that zoning laws could not be used to prohibit grandparents from living with their grandchildren, the Belle Terre decision remains the Supreme Court’s last statement on the constitutionality of zoning laws. As a result, municipal governments today believe themselves free to abuse the zoning power to regulate or prohibit almost anything they want, even if doing so has no plausible connection to a legitimate government interest like health or public safety. That is what has happened in Nashville. Lij and Pat are law-abiding citizens who have the overwhelming support of their neighbors, no criminal record, and a safe and unintrusive home-based business–far less intrusive than the many home-based businesses the city allows. It’s unfair of Nashville to single Lij and Pat out. Nashville’s home-business law is “dishonest,” according to Metro Councilwoman Burkley Allen at a February 2017 Planning Commission hearing on Lij and Pat’s SP applications. City officials know that home-based businesses are everywhere, yet they adhere to a don’t-ask-don’t-tell enforcement policy that admits law-abiding Nashvillians are better off lying to the government about their home-based businesses. Furthermore, residential zoning laws cannot be used to regulate a home-based business that can’t be seen or heard from the street. Residential zoning laws are meant to maintain the character of residential neighborhoods—not tell residents how to behave inside their homes. The Tennessee Constitution, which affords greater protection for substantive due process than its federal counterpart, prohibits such an intrusive regulation of someone’s use of her own home. The government could never prohibit Lij or Pat from having a friend over for a visit. It doesn’t make sense that the government could prohibit them from having customers over. The Institute for Justice and the Beacon Center have teamed up to affirm Lij and Pat’s right to work from home. Their victory in court will expand legal protections for property rights, recognize meaningful limits on the zoning power, and vindicate the right of all Tennesseans to earn an honest living in their homes. IJ and the Beacon Center filed suit in the Chancery Court of Davidson County on December 5, 2017. Keith Diggs and Paul Avelar from the Institute for Justice have teamed up with Braden Boucek of the Beacon Center as Lij’s and Pat’s attorneys for this case.